Jeff was born and raised between Crosby and Brainerd. He worked in Crosby at the Scorpion Snowmobile plant from 1974 to 1979. Then he started his construction career. He started working as a laborer, then became a carpenter. He started JSO Custom Construction in 1981 and continues to operate it to present. JSO Custom Construction has built many quality custom homes on the area lakes, and local cities in the past 31 years. In 1990 he became a licensed realtor with Kinney Realty in Crosby. In 1992 the owner Bud Lound annouced he was retiring and Jeff along with Bill Taylor and Ken Gillette purchased the well known and trusted real estate company. They have since worked hard to maintain the excellent reputation and sucess the Kinney Realty name has had over the past 30 years. 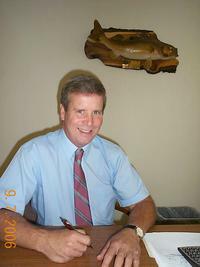 As of January 1, 2008 Jeff took over full ownership of the company. Jeff has been a trusted businessowner in the area for over 31 years and continues to offer his trusted services to you the public. If you are looking for a hardworking person you can trust, call Jeff.